Mary, Mary quite contrary, how does your Gordon grow? 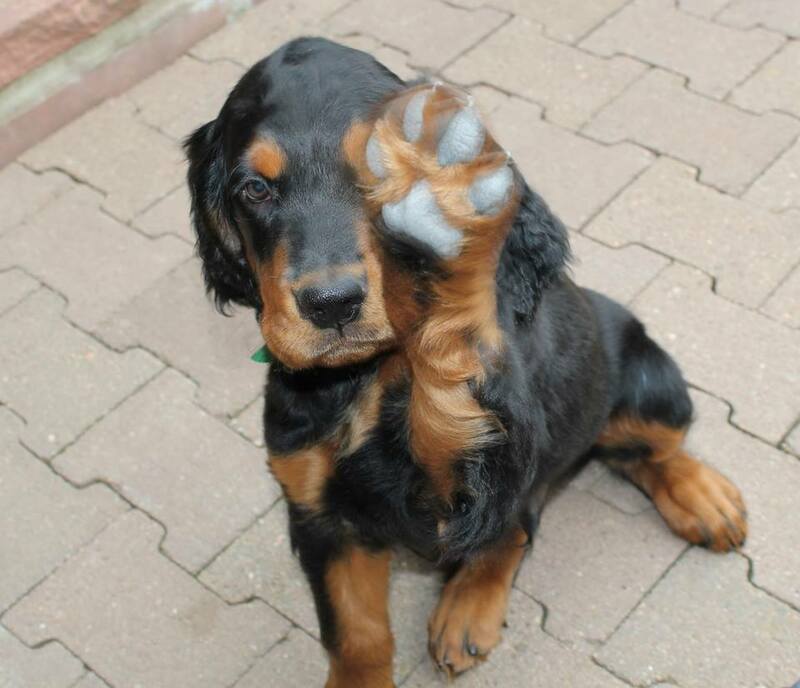 …how does your Gordon grow- or – do you know how to prevent injury and bone disease in your Gordon Setter puppy? 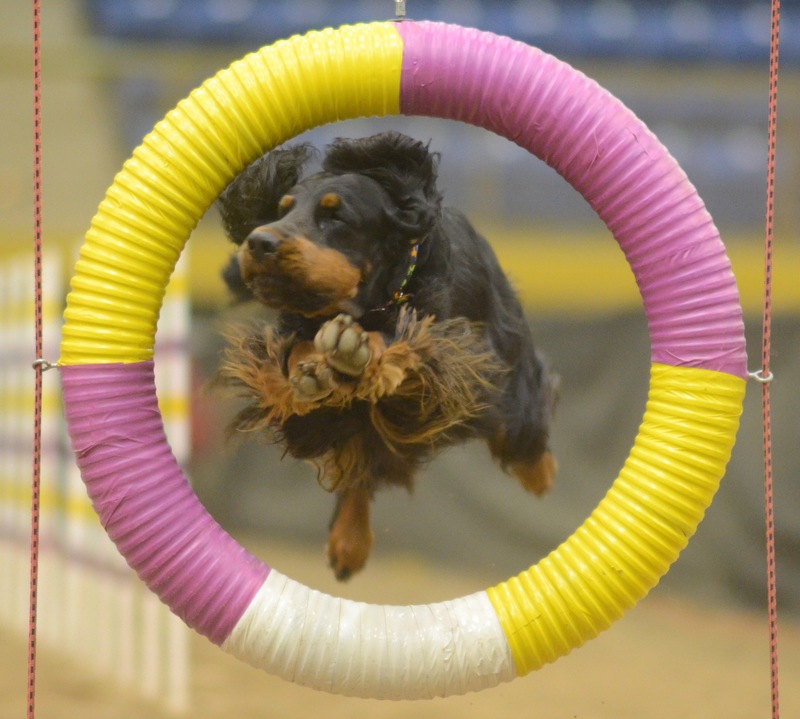 Whether you’re growing plants or Gordon Setter puppies they both have similar needs, a proper environment in which to grow and balanced nutrients. “Wait for him to mature, he’s still young” or “my dogs mature slow, you’ve got to give them time.” what does that mean? Do we understand how the puppy grows and matures? You see, it isn’t about how grown up or mature the puppy appears on the outside, instead we need to realize that what lies beneath the skin, his skeleton, may not be as mature as you might think simply by looking at his outside. Today let’s talk about the puppy’s growth on the inside, the skeletal foundation upon which all else is built. We breeders, owners and exhibitors, we need to understand and be aware of what’s going on inside that gorgeous new puppy so we can make sure we’re taking the best possible care of his bones. We need to know how we can avoid injury and bone disease, as the wrong exercise or nutrition may contribute to either of these. I’m not going to write you a book about this, that could get boring fast, but what I will do is to share some thoughts with you, along with resource links to make it easy for you to teach yourself, or to simply refresh your memory if you’ve studied this before. As a serious and responsible breeder and owner, I know that you , like me, want to know as much as you can about raising a healthy puppy. And, if you’re breeding you’ll want to share some pointers with your new puppy owners so they too grow their puppy up right. This chart shows the approximate age at which individual growth plates close. 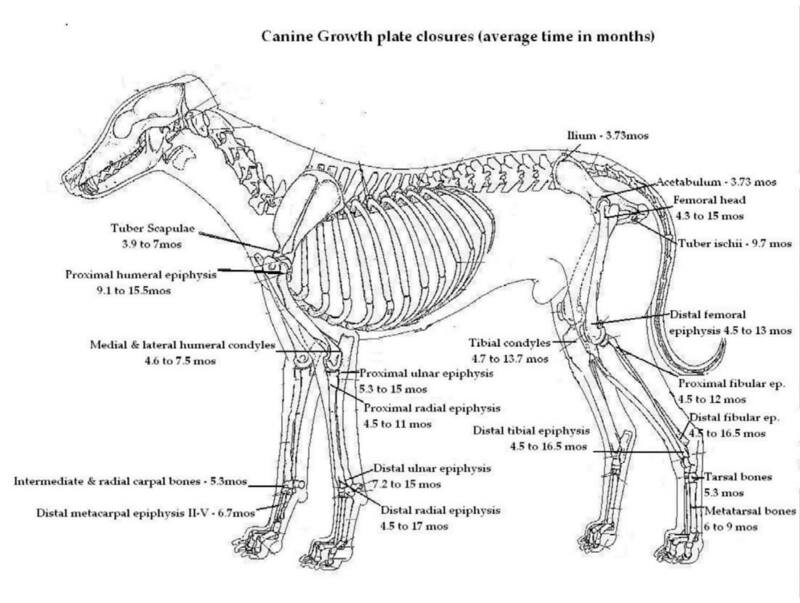 But, since growth plate closure is not an exact science and as all breeds vary, what this truly teaches is that growth plates close at varied times and sometimes within a large spread in the time-frame, the result being that we cannot judge, simply by looking at the pup or knowing his age, whether he is still growing and maturing. For example the distal radial epiphysis (say that fast 10 times in a row can you?) closes between 4.5 and 17 months – that’s a timing spread of over a year. Here is a link to a table at Provet Health Care that gives the average age of closure in days just to give you another reference. So, what is a growth plate and why does it matter? 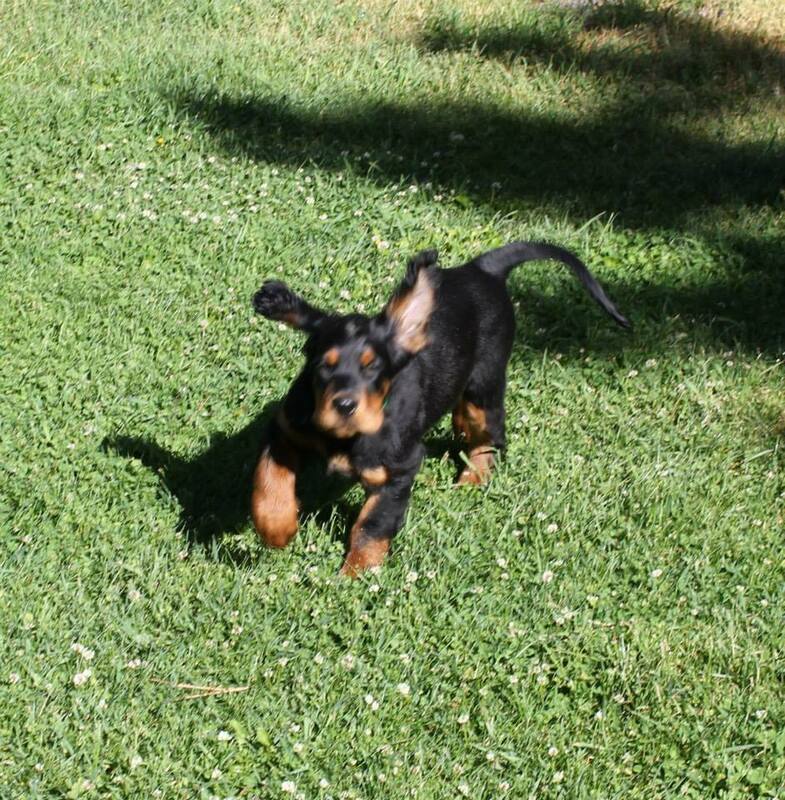 Very simply put, the leg bones of your Gordon Setter puppy have soft areas of immature bone located at the ends of the bones, these are called growth plates. The diagram above identifies the areas and their names. Growth plates stay soft and pliable, some closing earlier than others, until our puppy reaches approximately 18 – 24 months old at which time calcium and minerals should have hardened the soft areas of the bone. After the bones harden dogs typically stop growing and the growth plates close. What is vital for us to understand is that before the bones have completely matured, the area in and around the growth plate can be easily injured or fractured. (Click here to go to Google images of growth plate injuries.) High impact activities and pretty much any hard play, even something as simple as jumping down off a grooming table might cause your puppy’s bone to cease growing or to possibly grow the wrong way. If you’re breeding puppies you may want to share some advice with your puppy owners about proper exercise for the large breed puppy, many website articles can be found like this one at Puppies 4 Homes Puppy Exercise and Growth. On the Family Education website you’ll find Exercising Growing Puppies and on VetStreet is another article for runners How to run with your dog the right way. 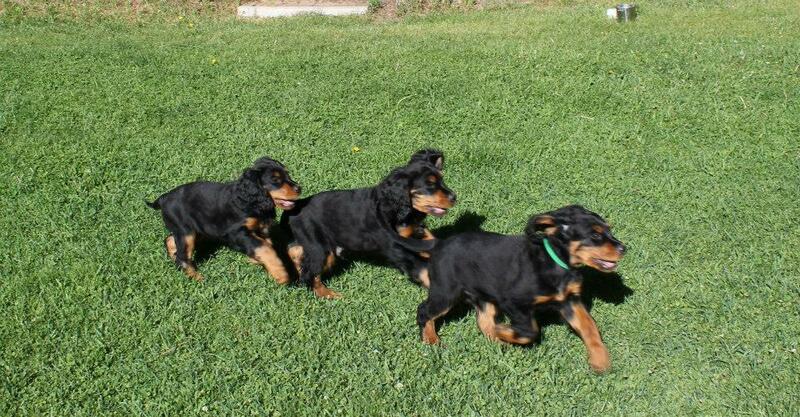 Developmental Orthopedic Disease (DOD) a thing we all want to avoid while raising our Gordon Setter puppy. The most critical period for the initiation of DOD occurs during early bone growth when the skeletal system is most susceptible to physical, nutritional and metabolic insults because of increased metabolic activity. 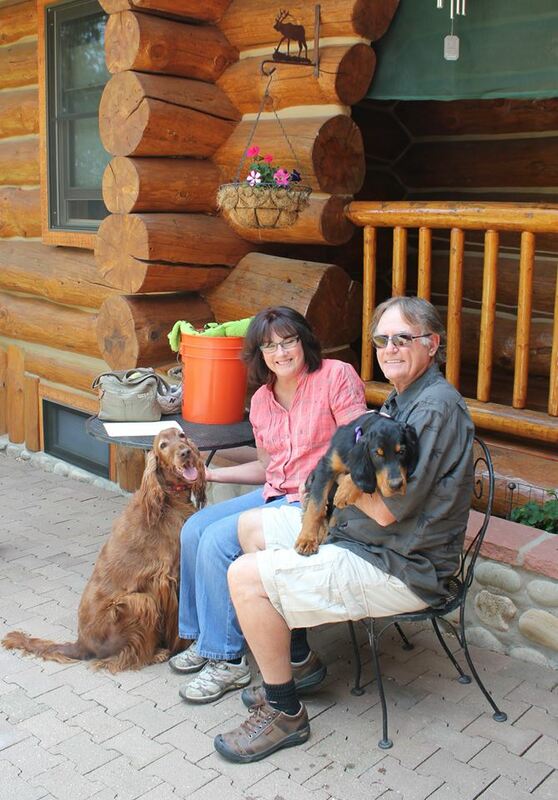 Large breeds like the Gordon Setter are susceptible because of their genetic potential for rapid growth and we should remember that a Familial history may be a predisposing factor for DOD. We can help prevent some skeletal diseases by appropriately feeding diets with optimized nutrients, however the biggest potential for harm comes from owners who over feed their puppy, or who improperly supplement. Maintaining proper weight especially during the puppy’s growth period is one of the most important things we can do for their development, keeping the puppy neither too thin nor too heavy. That roly poly puppy is at a high risk of injury and disease so maintaining proper weight is paramount. 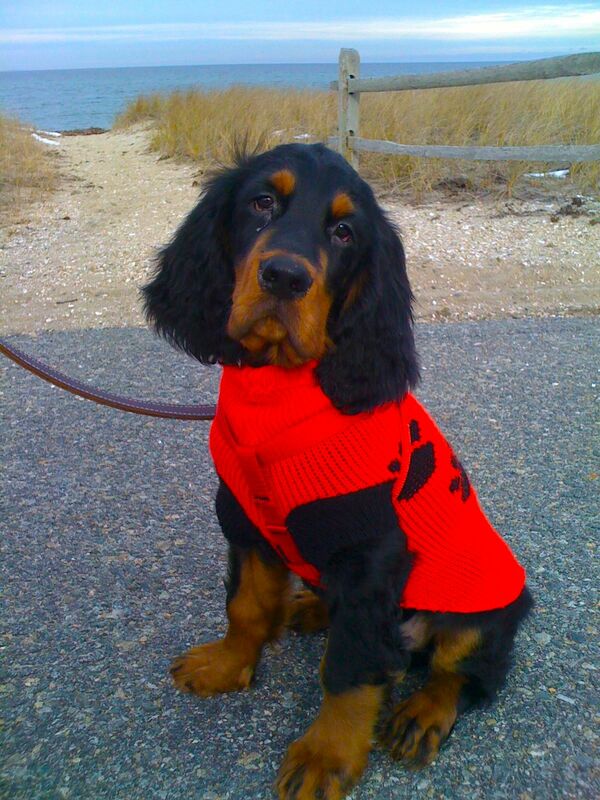 You may also enjoy this newly published blog here on Gordon Setter Expert – Appropriate Exercise Gordon Setter Puppies.